A man had his car stolen when he was ambushed by two men as he went to an off-licence. He got out of the Toyota Yaris at about 7.30pm tonight on Boothtown Road, near Iona Street in Halifax. When on the street he was approached form behind by two men, one of who grabbed him while the other made for his car keys. Fearing he would be injured, the victim gave his keys to them men who made off in the vehicle. 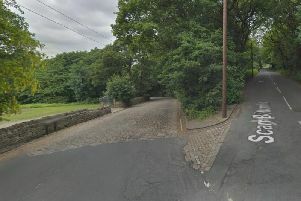 The car was later recovered on Bradford Old Road, Queensbury, Bradford. Anyone who saw the robbery or the car being abandoned on Bradford Old Road is asked to contact DC Craig Aubrey at Halifax CID on 101.